Country living in this barn style retreat. Room to stretch with four upstairs bedrooms, a lower level recreation room and extra room that can be a craft room, possible 5th bedroom or huge office. Built in 2017 a 36' x 36' shop with 14' eave height, concrete floor, power, pellet stove and 10' lean-to's on both sides. 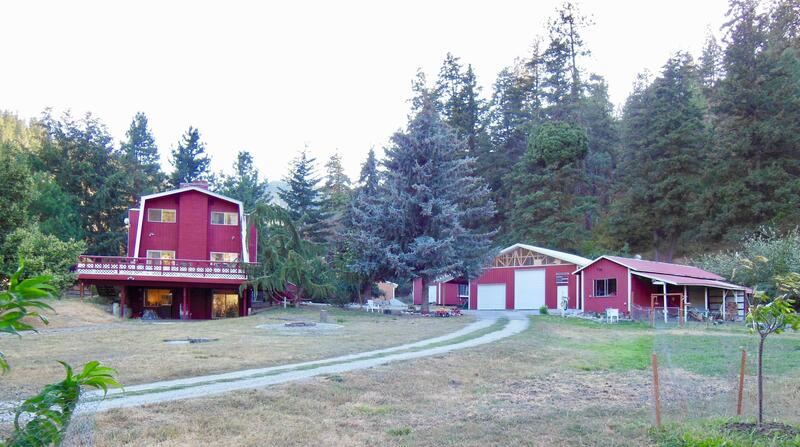 Enjoy the glorious mountain views from the grand deck that overlooks the acreage, fruit trees, fire pit and horse shoe area. Most furnishings in the home are negotiable. Fruit trees include two apple, a cherry, peach, pear, walnut and plum. Additional outbuildings make this a perfect homestead for your hobby farm.